Updating with the medicine principles and practices !!! For GERD sufferers, the discomfort and complications can potentially affect every area of life, but finding the right treatment is sometimes a process of ‘hit and miss’ since what works for one person may be ineffective for another. A thorough explanation and definition of what is GERD. A list of symptoms of GERD. Information on how GERD is diagnosed. Advice on how to make your own diet for GERD and ‘safe’ and ‘avoid’ food list. A general recommended diet for GERD. A list of GERD treatment options. Additional suggestions to reduce symptoms of GERD. Understanding what GERD is, its causes, symptoms, the effects it has on your body, and the way your body responds to specific treatments is necessary to help you devise a plan diet to manage the condition. Although research has led to many breakthroughs in this area, the one thing that has been proven most unequivocally is the fact that we are all individuals. And, since we are all different, there is no definitive treatment or GERD diet that will work in every circumstance. In other words, there is a long list of suggestions that have been known to help treat the symptoms of GERD and encourage the body to heal itself, but it may take you a lot of time and a little extra patience to find what works for you and how to put together your own GERD diet. I am sure that those of you who have been living with the symptoms know exactly what GERD is; but, for those who are new to the field or are experiencing some possible signs of the disease, a brief explanation may be helpful. Gastroesophageal Reflux disease, or GERD, is a fairly common digestive disorder that occurs when stomach acid, and sometimes bile, refluxes or flows back into the esophagus and mouth. 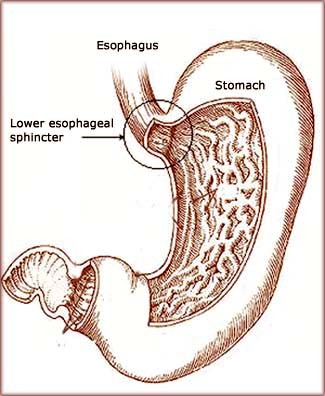 Basically, there is a “one way valve” between your esophagus and stomach that allows food to enter the stomach but prevents it from refluxing back into the esophagus. This valve is called the lower esophageal sphincter (LES) which is a band of muscles that contract and relax to form a protective barrier. When the LES becomes weak or does not close properly, then acid reflux can occur. Why Is GERD Often Painful and Potentially Dangerous? Your stomach is designed to handle the strong gastric juices that are produced for the digestion of food; but, your esophagus is not. After all, these digestive juices contain hydrochloric acid which is a highly corrosive chemical with a wide variety of industrial uses. It is the kind of stuff that comes in bottles with the little skeleton hand symbol on it to warn users of its dangers. So, if splashing a small amount on your skin requires “immediate” attention, you can imagine what kind of damage could be caused by repeated exposure to the tender lining of the esophagus. Besides the pain and burning sensations, when stomach acid is let out of its specified environment, it can cause several other complications ranging from open sores to cancer. Why Are GERD Sufferers Mostly Westerners? A study published in the Journal of Neurogastroenterology and Motility in 2009 stated that, according to statistics, there is a 10-20% prevalence of GERD in the Western world, whereas only about 5% of the Asian population suffers from this disease. It was suggested that the differences in these rates could be attributed to lifestyle, diet, obesity, and genetics. However, this particular study, as well as others before and since, showed no definitive connection between these factors and acid reflux. Those conducting this study concluded that, while all these things may play a role in the cause or symptoms of GERD, the extent of that role is still inconclusive. In other words, they found that people who were overweight had an increased risk for developing GERD, but they could not determine what percentage of these people would have developed the disease anyway, even if obesity was not an issue. So, is obesity a cause, a risk factor, or an exacerbating factor? Consequently, GERD has become one of the most controversial topics, largely because no one can really “put their finger on it”. While we know medically what is happening in the body, there is really no explanation why something like eating tomatoes causes excruciating pain in one patient while having little effect on another. Or, why taking probiotics in a GERD diet will heal some people, while aggravating the condition in others. Non-medical answer: it is a complex condition that varies so much from person to person that each case must be considered on a completely individualized basis. Now, this may be discouraging if you were hoping for a nice, neat list of ‘do’s and don’ts” in your GERD diet that will get you the results you want. But, it is not like treating a toothache where a visit to the dentist for a little drilling and filling will fix the problem. There is no simple formula. All you can do is apply your own GERD diet experimentation to the suggestions of others and try available treatments until you find what works for you. And, there are foods that have a reputation for being ‘safe’ (foods to avoid acid reflux) in most cases, as well as others that are known for being main contributors to acid reflux. Again, not all of these will necessarily apply to your individual case, but it will give you a good place to start. But, before we discuss the specifics of GERD diet, let’s take a look at the symptoms so you will know if you need to visit your doctor for tests and diagnosis. And, even if you do not have acid reflux disease, but you do suffer occasionally from indigestion or heartburn, diet and lifestyle modifications may still be helpful in finding a way to prevent flare-ups. As mentioned, GERD symptoms can vary from person to person. Some people may experience all the GERD symptoms while others notice only one or two. Similarly, the severity level may be different, depending on the person, but it is important that you do not ignore any signs, even if you think they may not be significant. The most common symptom is a burning sensation in the chest and/or throat. Some people may also experience a sour or acidic taste in their mouth. This is often caused by what is known as esophageal stricture, which is the narrowing of the esophagus. Acid exposure causes damage to the lining of the esophagus, and as this damage heals it forms scar tissue that causes the esophagus to tighten or narrow, which can result in difficulty swallowing. Some GERD sufferers, especially children, do not have heartburn, but rather experience a dry cough and asthma-like symptoms. Unfortunately, this is often mistaken for allergies, and the true cause in not discovered until more serious complications develop. If you have a persistent dry cough, it is a good idea to visit your doctor to make sure that a bigger problem isn’t being overlooked. 4. Hoarseness and sore throat. GERD affects the throat and larynx and can cause irritation or inflammation that results in a sore throat and/or raspy voice. Many people experience the regurgitation of food and liquid, often accompanied by a burning sensation in the throat and a sour taste in the mouth. 6. Lump in the throat. Some GERD sufferers say that they often feel like there is a lump in their throat. It is sometimes described as feeling as if food was not swallowed properly and is still sitting in the throat. This can create a panic reaction or a sensation of choking. Stomach acid can erode the tender tissues of the esophagus, sometimes causing an open sore to form, also known as an esophageal ulcer. This lesion can cause pain when swallowing as well as occasional bleeding. The heartburn often associated with GERD can sometimes mimic the symptoms of a heart attack. In fact, acid reflux is the most common cause of non-cardiac chest pain, with about 10% of GERD patients having chest pain as their only presenting symptom (Makkar, Sachdev, Azad, 2004). Studies have found that chest pain caused by GERD can be ‘squeezing’ in nature and can actually radiate to the back of the neck, up the jaw, and down the arms. If you experience any of these symptoms, it is important that you seek medical attention immediately to rule out the possibility of a heart attack. 9. Erosion of teeth and gums. Since acid often reaches the mouth, it can cause damage to your teeth and gums. It is recommended that you rinse your mouth with water regularly and brush with a toothpaste that protects tooth enamel. Although this is rare, some people will report a difficulty in breathing or an inability to take a deep breath. This is usually because the acid irritates the windpipe, causing an inflammation. This is more of a complication than a symptom since it is not something that you will feel or notice. With Barrett’s esophagus, the color and composition of the esophagus lining will change, indicating an increased risk of esophageal cancer. As a GERD patient, your doctor may monitor this by suggesting an endoscopy that will help identify early warning signs. If you have been experiencing any of the above symptoms, you should visit your doctor for further investigation. Some symptoms must be experienced at least twice a week to receive a diagnosis of GERD. 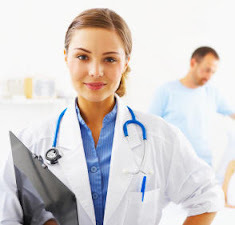 Your doctor may be able to acquire enough information simply by asking you a series of questions; however, a few additional tests may be recommended to confirm both the diagnosis as well as the seriousness of your condition. Since the digestive tract does not show up very well in an x-ray, your doctor may ask you to drink a chalky liquid containing barium sulphate. This substance coats your esophagus, stomach, and upper intestines and makes them easier to see when x-rayed. This test will help identify scar tissue, narrowing of the esophagus, and any damage or ulceration. For this test, a flexible tube or hose, equipped with a camera and light, is passed down your throat and into your stomach. This allows your doctor to see your esophagus and stomach and identify any damage. A biopsy may also be taken at this time if the technician finds anything that may require further investigation. 3. Ambulatory Acid Probe Test. The purpose of this test is to measure the acid level (or pH balance) in your esophagus. It will also monitor any reflux activity and keep track of how long this regurgitation lasts. This is done by threading a tube through your nose and into your esophagus, or small probe may be placed in your esophagus during an endoscopy. Information is fed to a computer that you wear around your waist or over your shoulder for about two days. This test measures the movement of the esophagus as well as esophageal pressure. This is typically done by placing a thin tube or catheter through your nose and into your esophagus. Once you have been diagnosed with GERD, the first step is to begin making the necessary dietary changes to help reduce symptoms and give your body the best opportunity to heal. When creating a GERD diet for acid reflux, you need to consider what foods cause heartburn or discomfort and which foods bring no painful symptoms at all. 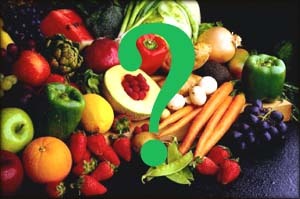 By changing the foods that you eat thereby creating a healthy GERD diet you may be able to reduce, or even eliminate, some of the signs of GERD. In fact, when patients are first diagnosed, many doctors will suggest a very strict GERD diet for a short period of time so your body can get the most benefits from medications and improve the healing process. Although the symptoms and complications of GERD can be severe, most people find that they can control the disease with simple lifestyle modifications, including diet changes. Healthy eating improves overall health and boosts immunity, which will benefit your digestive system as well as every organ in your body. But, remember that each person is different, and not everyone reacts the same way to particular foods. Often, when it comes to designing a GERD diet, many think in terms of “safe” or “avoid” foods, believing that certain things can actually induce or aggravate symptoms. However, there is no conclusive evidence to prove this belief. Several studies have failed to show that specific foods or drinks are connected to the disease. Now, this does not mean that a GERD diet doesn’t have an impact on GERD. In fact, it actually supports the fact that treatment and modifications must be approached on an individual basis. While there are some foods that have a reputation for aggravating symptoms in a large percentage of cases, this does not mean that it will be true for you. Similarly, foods that are known for being fairly benign may actually cause you to experience pain and discomfort. In other words, you need to take the time to find out what ‘triggers’ your symptoms and make your own ‘safe’ and ‘avoid’ lists. 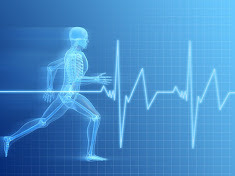 It may take a little while before you fully understand your body’s reactions, but the most effective way to manage the disease is to “listen” to your body and work with it to devise a plan that will help in your specific situation. One of the best ways to begin understanding the effects certain foods have on your body is to keep a diary. For at least two weeks, and maybe longer depending on the predictability of your lifestyle, write down everything you eat, when you eat it, and any symptoms that you experience. You may find that some foods only cause pain and heartburn occasionally, rather than every time you eat them. If this is the case, you may also want to record details about your situation at the time including environment, state of mind, and duration of meal. Things such as stress, anxiety, eating before bed, or eating too quickly can contribute to indigestion or heartburn, so determine if this may be the case before you eliminate something from your GERD diet completely. You may find that you can still enjoy these things in moderation simply by changing when you eat them. Diets are so often about what you have to give up, making you feel like you are entering into a type of punishment or deprivation. So, for sake of a positive perspective, we will begin with a few things that you should add to your GERD diet. 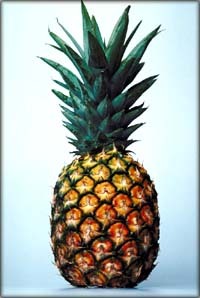 Pineapple contains Bromelain and papaya contains Papain, both substances known as proteases which are digestive enzymes that help with the breakdown of protein. Normally, your body would use Pepsin to digest protein, but this enzyme is most effective in very acidic environments like the one found in your stomach. Those on acid reducing diets, as is often recommended for GERD patients, may find the digestion of proteins difficult, resulting in pain and reflux. Adding pineapple and papaya to your GERD diet can help alleviate these symptoms by facilitating the breakdown of proteins. Now, we have always heard that salt is bad for us and we should avoid it. Well, if you have GERD, you may have to hand over the chocolate, but you do get to sprinkle a little bit of salt on those veggies in your GERD diet. Low iodine levels can contribute to hypothyroidism which is often associated with acid reflux. Many people today use sea salt which has not been iodized, so if this is the case, you should add some regular salt to your diet. If you are unable to eat salt due to health issues, you should consider taking an iodine supplement. Low sodium levels have also been connected to acid reflux, so make sure you have at least a little salt in your GERD diet. This is controversial since many people say that adding omega-3s to their GERD diet significantly reduced GERD symptoms, while others claim that it actually made them worse. Similarly, fatty fish (a high source of omega-3) is on the “avoid” list, but many GERD sufferers say that they have no problem eating salmon or tuna. If you are able to handle omega-3s, the health and healing of the fish oil benefits are effective in boosting immunity and repairing damage. 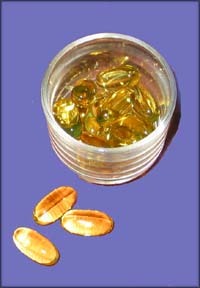 A fish oil supplement may also be taken if your body reacts better to this option. Although specific foods to avoid may vary from person to person, there are a few general guidelines that may help reduce symptoms of GERD. Certain hot spices are known to irritate the esophagus and cause heartburn. Avoiding these may help prevent painful symptoms and reduce the risk of ulcerations. 2. Trans Fats and High Fat Foods. High fat foods, particularly those that contain trans fats, can cause reflux because of the large amounts of acid required to digest them. Foods with a high fat content have been linked to a decrease in LES pressure and a delay in stomach emptying which can also lead to acid reflux. As well, dangerous trans fats have been connected to esophageal disease, and since GERD can also contribute to complications with the esophagus, it is best to eliminate them from your GERD diet. 3. Very Hot Food and Liquid. It is best to let food and beverages cool a little before consuming since very hot substances have been linked to stomach and intestinal ulcers, which can intensify the symptoms of acid reflux. Both peppermint and chocolate contain chemicals that can stimulate the release of stomach acids while also relaxing the smooth muscle sphincter between the stomach and esophagus, often resulting in acid reflux and heartburn. Alcohol irritates the lining of the stomach and is actually one of the most reported causes of heartburn. 6. Your Own Trigger Foods. Given the complex nature of GERD, this one has to be added. I know it is repetitive, but everyone has certain foods that irritate their condition and cause severe symptoms. Make a list of these foods and avoid them in the future. The following lists are comprised of foods that are typically known to be ‘safe’ or to ‘trigger’ symptoms. Again, just because something is on the “avoid” list does not mean that you cannot eat it. Similarly, something appearing on the “safe” list does not guarantee that it will not cause a problem for you. This is simply provided as a guideline to give you a place to start and to make it easier for you design your own personal GERD diet. While lifestyle changes, such as diet modifications, can help reduce the symptoms and complications of GERD, sometimes medical treatment is necessary. Often, medications will be used temporarily to help calm inflammation so the body’s natural healing processes can work to repair damage. Once the disease is under control, medications can sometimes be discontinued and symptoms managed by drug free methods. It is important that you do not stop taking prescription medications without first gaining permission from your doctor. Most often, GERD can be manged with lifestyle changes and over the counter medications. However, it is important to know that these treatments only offer temporary relief and do notprovide any healing elements. After diet changes, antacids are usually the first course of action because they provide quick relief of symptoms. These include products such as Maalox, Mylanta, Rolaids, and Tums. These do not act as quickly as antacids but they do provide longer relief. Popular H2 receptor blockers include Pepcid AC and Zantac. These drugs are designed to prevent acid production and release in the stomach and intestines, thereby reducing the risk of acid reflux and esophageal damage. Common examples are Prevacid 24 and Prilosec OTC. Sometimes, over the counter treatments are not strong enough to provide relief in more severe cases, so your doctor may recommend acid reflux prescription medications. 1. Prescription Strength H2 Receptor Blockers. These include drugs such as Tagamet, Pepcid, Axid, and Zantac. 2. Prescription Strength Proton Pump Inhibitors. Common examples are Nexium, Prevacid, Prilosec, Protonix, Aciphex, and Dexilant. When taking proton pump inhibitors at the prescription level, your doctor may recommend a calcium supplement because these medications can cause a loss of bone mass. These treatments are used to strengthen the lower esophageal sphincter and are also given to patients with slow gastric emptying since they speed up digestion so acid does not stay in the stomach for any longer than necessary. These drugs can cause significant side effects such as fatigue, depression, and anxiety and may also interfere with the effectiveness of other medications. GERD medications are often combined to treat specific symptoms and increase effectiveness. What works for one person may not be optimal for another, so your doctor may try several options before finding what provides the best results for your situation. In cases of severe GERD symptoms, a healthy GERD diet is not enough and surgery is sometimes necessary. Most doctors will not perform surgery until all other options have been exhausted and it has become obvious that lifestyle changes in terms of, among other things a GERD diet and medications are not effective. This procedure reinforces or tightens the lower esophageal sphincter by wrapping the top of the stomach around the lower esophagus. Using a special tool, stitches are placed along the stomach near the LES. These stitches are then tied together to form a barrier that prevents stomach acid from entering your esophagus. In this procedure, esophageal tissue is actually heated and damaged to form scar tissue which helps to strengthen the muscles. At this point, no alternative medicine therapies have been accepted as proven treatments for GERD. However, like every other aspect of the disease, it really is an individual decision. Some people have reported natural remedies that have given amazing results with their GERD diet while others find that prescription medications have little effect. Also, some patients want to avoid pharmaceuticals as much as possible and are looking for an alternative way to reduce their symptoms and restore their body back to its natural balance. Although natural treatments are still controversial, they can provide relief of symptoms and even promote healing by calming your digestive system. Water will help dilute stomach acids which will reduce the risk of reflux. Try to drink a glass of water after a meal. Fennel seeds contain a substance called Anethole which is known to suppress stomach and intestinal tract spasms. Chew 1/2 teaspoon after a meal or enjoy fennel and chamomile tea, which can have a soothing effect on the digestive system and recieve acid reflux. Remember to sip the tea slowly. 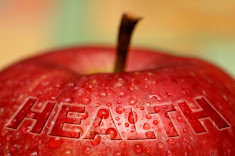 Eating an apple after a meal can reduce the amount of acid in the stomach and decrease the likelihood of reflux. Eat the fruit slowly and be sure to chew it well. This is claimed to be a particularly effective treatment as ginger root is known to absorb stomach acid and calm the nerves. Add it to your GERD diet food, eat it candied, drink it as a tea, or take in capsule form following a meal. This is one of the most popular home remedies and is effective because it contains enzymes known to prevent acid reflux and heartburn. Add a teaspoon to 1/2 glass of water and drink before, during, or after a meal. This remedy may reduce the amount of acid in your stomach and prevent heartburn. Some people say that adding lavender increases the effectiveness of anise. Probiotics are the good bacteria that exist in your gastrointestinal tract and are directly connected to the health of your immunity system. 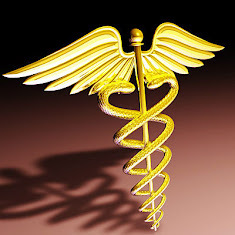 When there is an imbalance, your ability to fight illness and disease is compromised. By taking probiotic supplements with your GERD diet, you can restore this balance to achieve a properly functioning stomach and digestive system. The theory is that since probiotics contribute to effective digestion, they can heal digestive tract disorders and prevent reflux from occurring. Studies in this area have been inconclusive and many researchers are questioning findings. Some doctors argue that intestinal bacteria is unique to each individual so a specific strand of probiotics may be helpful to some people in their GERD diet efforts while completely ineffective to others. Again, this is one of those suggestions that you will have to try for yourself and see if it works. 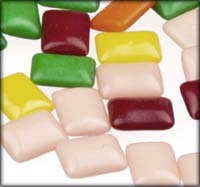 Chewing gum stimulates saliva production which will help dilute stomach acids and limit acid reflux. Remember to avoid mint flavored gum, as mint is not recommended for GERD. It should be mentioned that many people use baking soda for treatment of heartburn and indigestion; however, you should exercise caution when using this remedy. Baking soda contains sodium which can raise your blood pressure and make your blood too alkaline if taken in large amounts. While drinking a glass of water with a 1/2 teaspoon soda added is not likely to be dangerous, many people claim that you can use this treatment as often as needed until you get relief. Over consumption of baking soda can have serious health consequences, especially for those with heart conditions. Aside from a GERD diet and medicinal or natural treatments, there are some other things that you can do to help reduce the symptoms of acid reflux disease. 1. Maintain an upright posture. Refrain from slouching while sitting or standing, particularly after a meal. This will help facilitate the proper functioning of the digestive system. Also, going for a walk after a large meal can help lower stomach acid and speed along digestion. 2. Lose weight if you are overweight. Obesity not only increases the risk of developing GERD, but it also exacerbates existing symptoms. Tobacco causes the LES muscles to relax, thereby increasing the risk of acid reflux. 4. Avoid wearing clothing that is tight around the abdominal area. … as large amounts of food in the stomach can increase gastric pressure and cause heartburn and reflux. It is recommended that your GERD diet consists of several smaller meals throughout the day rather than a few larger ones. For dinner it is especially important not to overeat as symptoms seem to intensify in the evening. 6. Avoid eating within three hours of bedtime. Since GERD symptoms are often worse in the evening, it is best not to eat too close to retiring. 7. Sleep on your left side. The LES is on the left side of the stomach and if your esophageal sphincter is weak it may not close properly. If you sleep on your right side, acid may be able to leak out of the stomach into the esophagus, causing pain and damage to the esophageal lining. … to prevent the backflow of gastric juices. Many digestive disorders, including GERD, have been linked to elevated stress levels. Learning how to manage stress can help reduce symptoms as well as contributing to your overall health and well-being. 10. Keep diabetes and asthma under control. Since both of these diseases increase the risk of developing GERD as well as intensifying their symptoms, proper management is crucial in preventing acid reflux. For many people, GERD can affect virtually every aspect of their lives. It can be painful and, if not treated, can cause many serious complications. For those suffering from this disease, it often seems as if everything you eat causes symptoms, but in most cases, acid reflux disorder can actually be managed effectively with an individual GERD diet so patients can reach a point where they enjoy eating again. Yes, it does require some time and patience, but the relief is well worth the effort. By keeping a journal, you will be able to identify the ‘trigger’ foods and create a GERD diet plan that prevents GERD symptoms as well as improving your overall health. In many cases, a proper GERD diet can improve your condition enough that medications may be reduced or even eliminated. Of course, you should not discontinue prescriptions without your doctor’s approval, but many patients have reported significant improvement simply from a GERD diet alone. And, for those who require more intervention, there is such a variety of treatments that you should be able to find one that works for you. Whether it is over the counter drugs, prescription medications, natural remedies for GERD, or surgery, this disease is treatable and most complications can be avoided if the condition is handled properly. So, say goodbye to acid reflux and prepare yourself a GERD diet meal that will bring you pleasure without all the pain. What Would You Like to Read Now After This Article on GERD Diet? 2010 AHA Guidelines: The ABCs of CPR Rearranged to "CAB"
How are patients with balance disorders evaluated? Latest Celebrity Dieting Fad: Charcoal? Model of the molecular feedback loop at the core of the mammalian circadian clock.